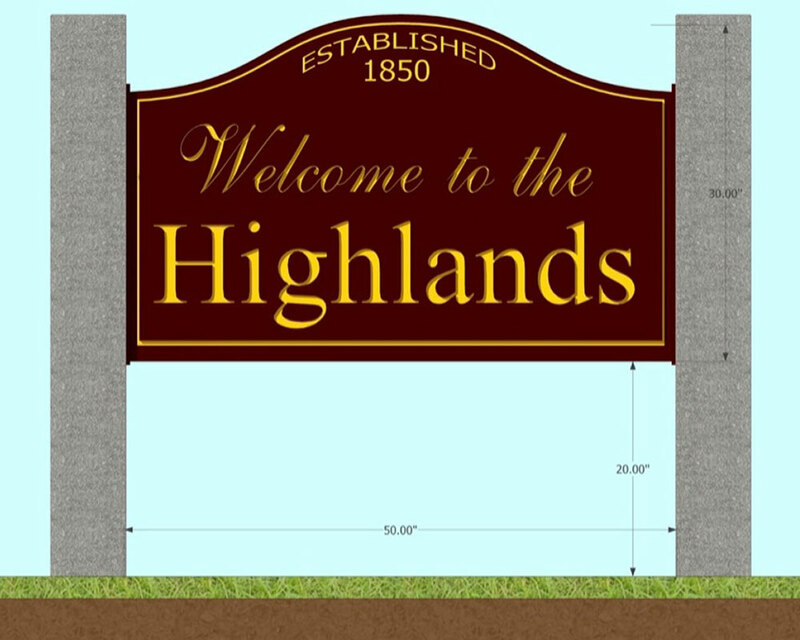 Four years after forming their local neighborhood group, the Historic Haverhill Highlands Neighborhood Association plans to finally put down roots this fall with a “Welcome to the Highlands” sign on Mill Street—and need the community’s help to make it happen. Association President Lynda Brown and her four-member board launched a GoFundMe online fundraising campaign and are more than halfway to their $2,100 goal after just one week. As Brown tells WHAV, the project has been a labor of love by neighbors. “It’s just something tangible the neighbors that can see. It’s been a real neighborhood effort,” said Brown, adding that the group met several new residents after they donated to the sign fundraiser. The design was created by Michael Valvo and will be installed by a Highlands neighbor who owns a sign-making company, Brown said. The installation in Whites Park should be complete by September. To donate to the fundraiser, visit gofundme.com and search for the “Welcome to the Highlands” neighborhood sign page. Residents can also stay in touch with the Association via Facebook by searching for their “Historic Highlands of Haverhill” group.